Madson, J. 1982. Where the sky began: Land of the tallgrass prairie. Boston, MA: Houghton Mifflin. Pauly, Wayne R. 1988. 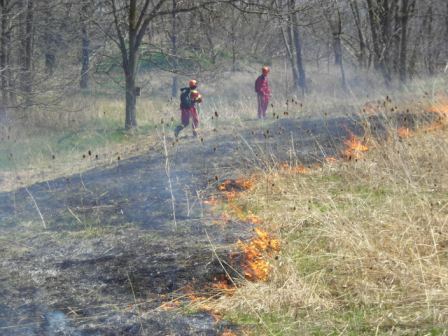 How to manage small prairie fires. Madison, WI: Dane County Park Commission, 4318 Robertson Road, Madison, WI, 53714. Pyne, S.J. 1982. Fire in America: cultural history of wildland and rural fire. Princeton University Press, Princeton, New Jersey.